View "Information for our customers"
Download PDF "Information for our customers"
Now we have the answer! 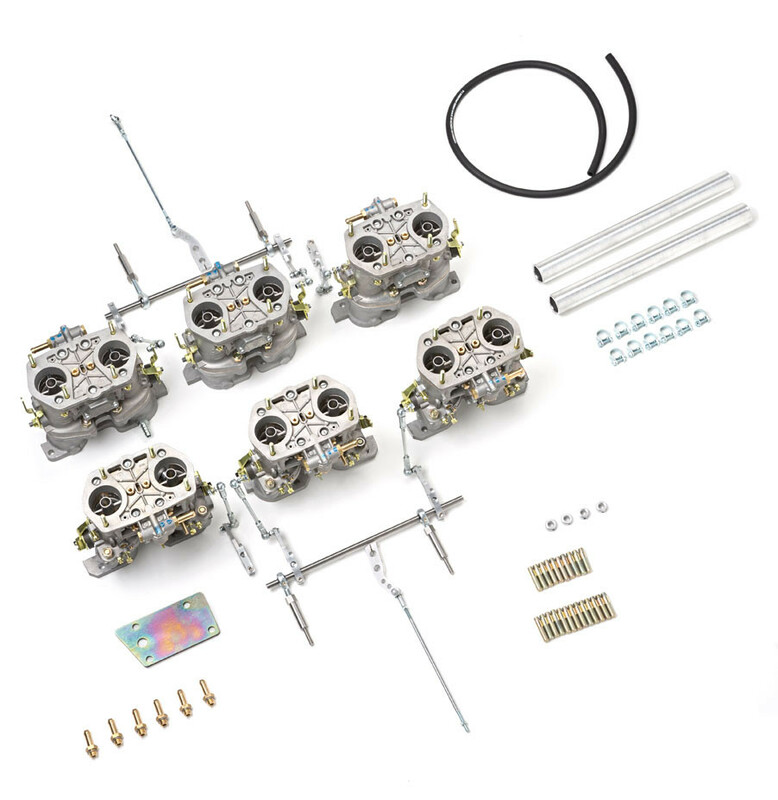 This kit has been developed in conjunction with skilled Jaguar specialist engineers to ensure that fitting is as straightforward as possible, and that the quality of the manifolds and fittings is a match for the legendary quality of the Weber carburettors. 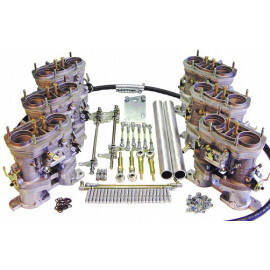 Complete with full illustrated fitting instructions and our own Weber Tuning manual, this kit is supplied with six genuine Spanish Weber IDF carburettors and is available to suit both carburetted and injected versions of the V12 engine.